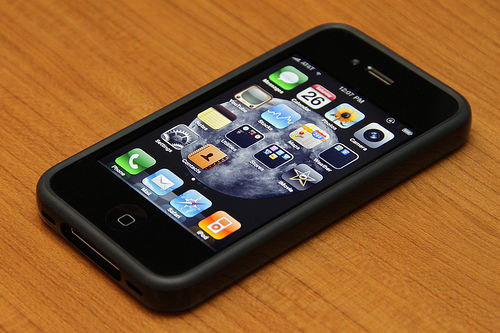 In an attempt to take the strain off its staff and simplify the ordering process, Apple has released an app on to the App Store allowing iPhone 4 customers to claim their free iPhone 4 bumper to eliminate potential signal issues. Dubbed the iPhone 4 Case Program, customers will be able to claim a free bumper on all iPhone purchases up to the 30th September. 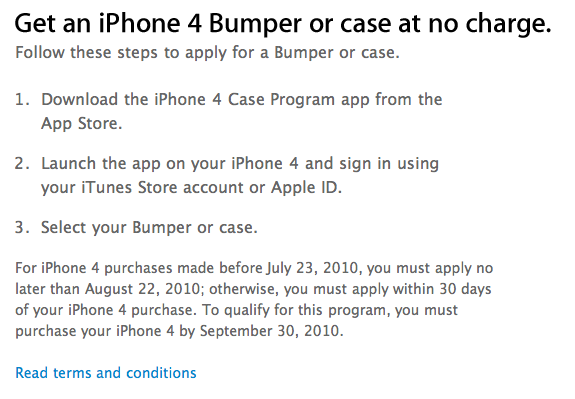 For those people who bought your iPhone 4 before July 23rd, you must apply for your bumper before the 22nd August, otherwise customers have to apply within 30 days of purchase. For those who have purchased a bumper and are seeking a refund, you can find more information by heading to the iPhone 4 Case Program website. The app can be downloaded by following this link.